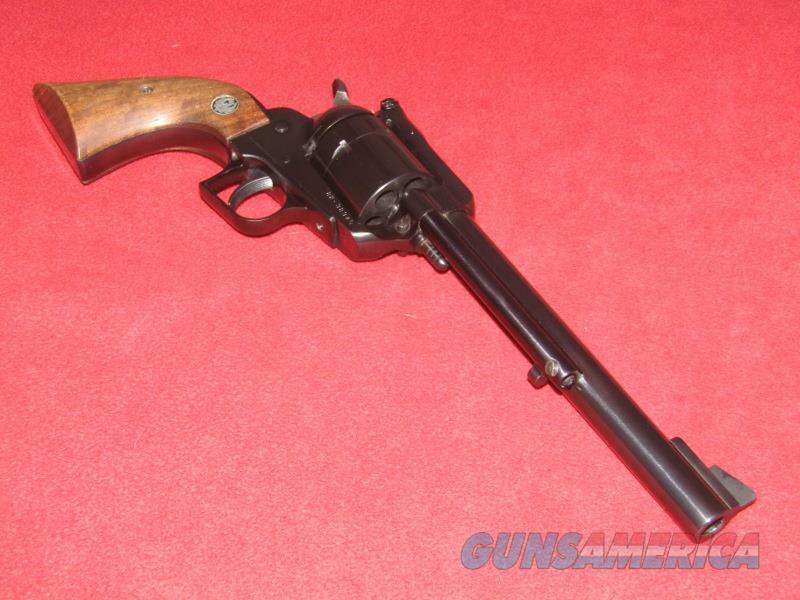 Description: Up for sale is a lightly used Ruger New Model Super Blackhawk Revolver (.44 mag.). This item has a 7.5” barrel with a shiny bore, adjustable rear sight and wood stocks. The blueing is in nice condition with just a hint of wear on top of the front sight and a drag line visible on the cylinder. The stocks are in nice shape with just a couple of very minor dings visible in the wood.